Last week, I took some buyers searching for a Lido Key condo out to view property. Since they were already familiar with the Sarasota area, our search focused on the particular Key that was of interest to them. We only had from 9:00 am to 12:00 noon to search since these buyers were hurrying for a luncheon with friends at Word of Mouth in downtown Sarasota, Florida. We visited Lido Surf & Sand, Lido Beach Club and St. Armands Towers where they found several units listed as possibles with Gulf views. L Elegance was on their list. Condos with Gulf views at L Elegance start over a million dollars. Lido Key Beach is located right next to world famous St. Armands Circle and offers its residents quite an array of amenities in addition to its wonderful public beach. Residents enjoy specialty shopping, restaurants, cafes, ice cream parlors and galleries. 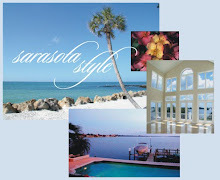 For information on Sarasota and Lido Key waterfront condos, contact Annette Smith at 1-941-504-3922 or send an email for a prompt reply.